This sounds like so much fun. Can’t wait to read it. I’m really looking forward to reading this one, I enjoyed the first so much. Can”t wait for the movie! I have always loved British murder mysteries…Sayers, James, Christie and the idea that mystery and Austen are combined sounds like great fun! I am looking forward to returning to Austenland. I really enjoyed the first book and also her book “The Actor and the Housewife”! Wonderful to know that Austenland will be made into a film! Thank you! I loved Austenland–I have the audiobook on my iPod, and have listened to it more times than I can keep track of. Miss Charming absolutely cracks me up! I am intrigued by many of the Austen-style mysteries. There is something so special about the atmosphere in them, and the really good ones capture the subtle, almost-naive wit of Austen’s original work – funny without artifice and contrivance. I’d surely like to have this book! I love Regency Romances (big fan of Georgette Heyer) and can just imagine the fun of humor and mayhem at Austenland. thanks for the giveaway. I love Regency mysteries, especially those with some tie to Austen–I’ve been reading Carrie Bebris’s mysteries, and can’t wait to read “Midnight in Austenland”. Thanks for the giveaway! One thing that I find interesting in Austen mysteries, particularly murder mysteries, is the lengths through which they go to solve crimes. Today we are so used to CSI. But back then, they didn’t really know about finger prints. One question I’ve always had was this, why is there always someone listening behind the door in Austenesque mysteries? Anything written with the intent of bringing Austen characters to new and different heights always intrigues me. I’m always eager to read such books and own a few already. 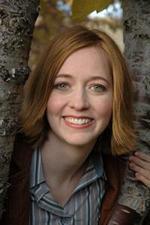 But it would be especially great to read one such book by Shannon Hale. I love Austen-esque mysteries because they had so little to work with back then. They had no modern conveniences like computers and technology that would help them figure things out SO much faster. It makes it more difficult to solve the mystery and it makes it more interesting to follow along with those trying to solve it. I love mysteries in general so getting to read a good Austenesque mystery just doubles the fun! characters from Jane Austen react in a mystery setting! Austeland was so fun, I’m excited to pick up the sequel. Glad to hear Miss Charming is back. She’s hilarious–although I think I might go crazy if I had to share an Austen vacation with her! I love Jane Austen’s characters, wit and humor invovled in a mystery. Takes Jane to a different level. So when your romanced out, picking up the next best thing a mystery that incorporates Jane and all her exactness into the pages. I would love to win this, thanks for the review! I have not read Austenland but I hear it’s being filmed! I think Austenesque mysteries are intriguing because I’m in love with all things related to Jane Austen (except vampires or zombies). How can you pick just one character? This book was so much fun to read. I loved the concept from the very beginning. So excited to see a new book from Ms. Hale! “Midnight in Austenland” was terrific!! Can’t wait to see the “Austenland” movie. And my daughter is highly anticipating Book2 in “The Princess Academy.” Kudos on another terrifc author interview, LaurelAnn! OOOOPS– please do not enter me– as I already have a copy– I just wanted to chime in. The use of red herrings to distract from discovering the villian is what I find intriguing about mysteries. This book sounds like a fun read! I love how having a mystery in the story engages my mind. This one seems to be interesting in that the heroine isn’t even sure of what is real. Enjoyed the interview and appreciate the giveaway opportunity. I have Austenland in my TBR pile, and I loved Princess Academy. I’m so glad that there’s Midnight in Austenland because I loved Austenland! And I love murder mysteries, so the fact that this combines Jane Austen and mystery is fantastic! I am interested in just finding out the solution because, unlike some readers, I can never figure it our ahead of time. I love the idea of an Austenesque mystery, because both mystery and so much of Austen’s writing depend on the point of view – on misconceptions and discovering the truth about a person, situation, or relationship. I think it’s a great idea! I read Austenland and thought it was very witty and fun. Definitely looking forward to the movie! I’ve not read one of your books (YET) but by the comments I’ve read here by everyone who has thinks highly of them. I’m on an important reading assignment but I promise I’ll pick one of yours out when I’m done. What’s intriguing about a Jane Austen mystery? Well, for me and many others, Jane Austen’s life is a bit of a mystery in its own right. I wished we all knew more about her. The concept of an Austenesque mystery, especially one by Shannon Hale, appeals to me because it promises to be diverting and funny. I think my favorite character from “Austenland” is Miss Charming. She’s certainly the most memorable! I think some Austen books lend themselves to this mystery category, so it’s always fascinating to see how authors interpret them in that sense. And I love all the characters from Austenland, so I just can’t choose! I loved Austenland when I read it. Austenesque mysteries are wonderful as they not only take you back to the Regency, but you also get a bit of old-time sleuthing to go along with it! Shannon Hale is a wonderful author and I have enjoyed so many of her novels, and love that some of them are geared towards adults! I cannot wait to see the movie! How wonderful to see your words on a screen! Thanks for the chance to win this novel! It has been on my TBR pile since I first heard of it! Oh, I love Austenesque mysteries! It takes two great genres and infuses them! I am looking forward to reading this book! Can’t wait! I love mysteries and if they have a feel of Northanger Abbey with it’s atmosphere, so much the better! Add me please. Christie and Austen are two of my favorite authors. I look forward to a mystery that combines elements of both. I am intrigued by the combination of two of my favorite things–Austenesque and mysteries! Can’t wait to read these books! Ilove mysteries and love the combination of my two favorites: Mysteries and Jane Austen. Loved Austenland ! I love Austenesque mysteries, because they feature characters I love, and I enjoyed Austenland. It was fun trying to figure out what everyone’s angle was. I’d love to win MIA. I have not checked out Austenland yet. Have heard good things about it. Would love to win and read this book. thanks for the chance to win. My copy just arrived yesterday! So don’t enter me in the give-away. Can’t wait to return to Austenland! What intrigues me about Austenesque mystery is that it gives a new spin a a favorite genre. Austenesque mysteries are the best stuff. I like most anything with Jane Austen in it. My favorite character from Austenland was Jane, of course. Austenesque mysteries sound good — good, old-fashioned mysteries. I don’t believe that there are many Regency cozy mysteries and I’d like to read some. I love Agatha Christie books, too. I’ve read some of Carrie Bebris’s books. Anna Dean has a Regency series (“if Jane Austen wrote Miss Marple” is what it says on the book jackets, I think) and Lynn Shepherd wrote Murder at Mansfield Park. I’m intrigued by Austenesque mysteries because of the possibilities and promise of my favorite characters taking on different story lines. Enjoyed the first book and would look forward to reading the sequel. I love mystery novels, and I love Jane Austen – seems like a perfect combination to me! 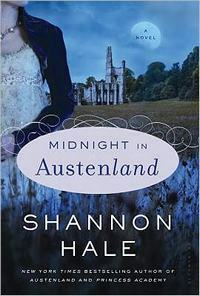 Northanger Abbey is my favorite Jane Austen novel, so I am very excited about Midnight in Austenland! Absolutely loved Austenland!! It’s definitely one of my fav books to re-read. My favorite character from the book has to be Jane! The idea of Austenland is just pure fun. It is a place where reality is not allowed to intrude; where men are courteous and ladies are elevated on pedestals. Throw in a cozy mystery and a faux murder to keep everyone entertained…until Charlotte begins to suspect that a real murder has been committed. The story takes a turn from Austen into Bronte…unless Charlotte is turning into Catherine Morland, investigating imaginary murders. I just finished Midnight in Austenland and I absolutely loved the book! I’m sooo hoping they make a movie! I was actually reading though the Q&A hoping to find somewhere saying that they were going to make a movie..